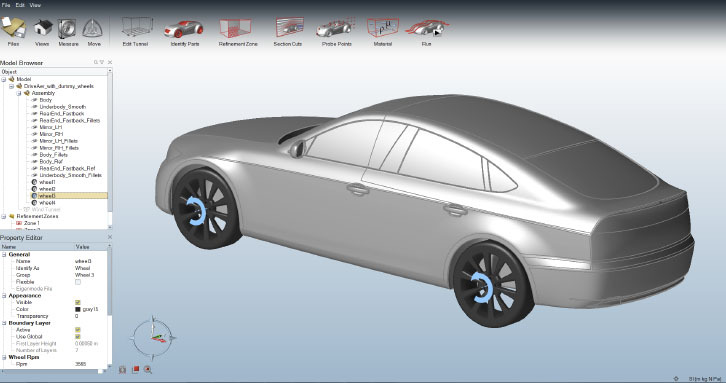 HyperWorks Virtual Wind Tunnel Introduction Video HyperWorks Virtual Wind Tunnel is a new solution designed to provide better wind tunnel simulation technology and user experience. Watch the video to learn more. 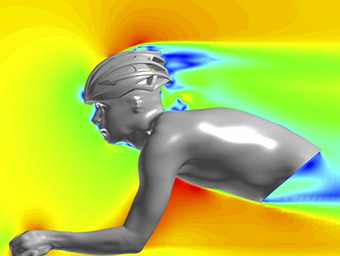 Aerodynamic Development of a Road Cycling Helmet with AcuSolve - LX Sim LX Sim uses HyperWorks Suite and select Partner Alliance programs from Altair to help build an aerodynamic cycling helmet. 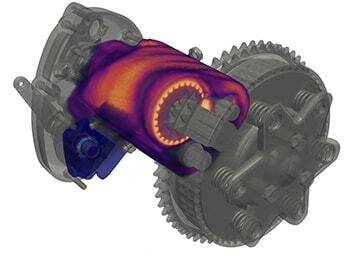 HyperWorks VWT is powered by Altair’s computational fluid dynamics solver, AcuSolve®, a general-purpose, finite element based flow solver providing fast turnaround times, accuracy and robustness. Architected for parallel execution on shared and distributed-memory computer systems, using a hybrid parallelization technique, AcuSolve provides fast and efficient transient and steady-state solutions for unstructured grids, and it is capable of scaling over a large number of computing cores. 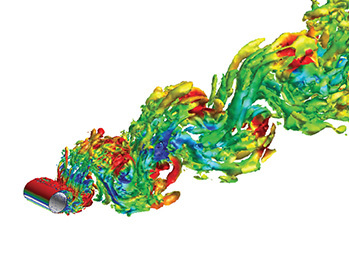 HyperWorks VWT utilizes Reynolds-Averaged Navier-Stokes (RANS) and Detached-Eddy Simulation (DES) technology to model turbulent flows and to predict the flow field. 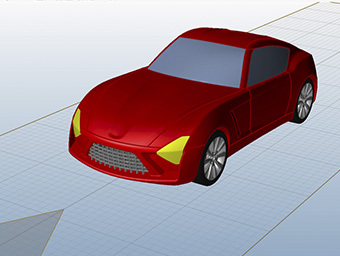 DES technology combines fine-tuned, statistical RANS technology for modeling near walls and attached boundary layers with the ability of large-eddy simulation (LES) to model the separated regions in the wake behind the vehicle. 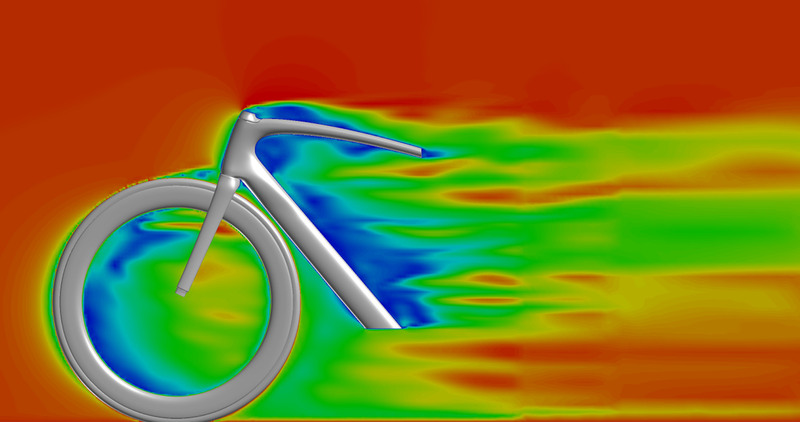 Accurate external aerodynamics results are achieved for both, steady-state simulation using the RANS approach when physics allows and transient simulation using the DES approach. AcuSolve’s fluid structure interaction (FSI) capabilities are included in VWT to support studies of flexible components in an external flow field. Rotating parts, e.g. wheels, are modelled by prescribing a tangential wall velocity to include rotational effects into the simulation. For automotive use cases, heat-exchangers or condensers are modelled with a porous material model to consider the pressure drop through the components. 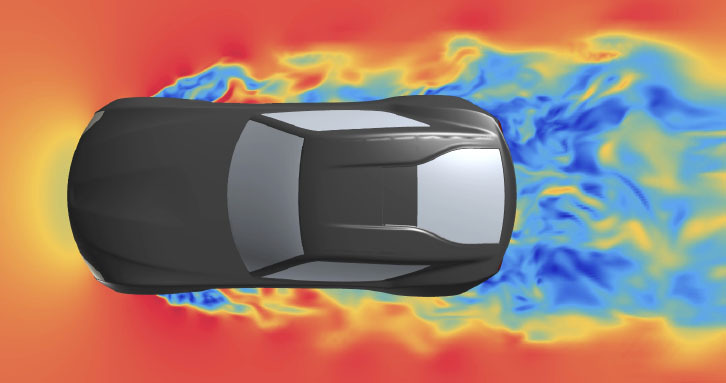 The fluid material used during the simulation is defined via density and viscosity, and can be adapted to model for example water or air at a specific temperature. 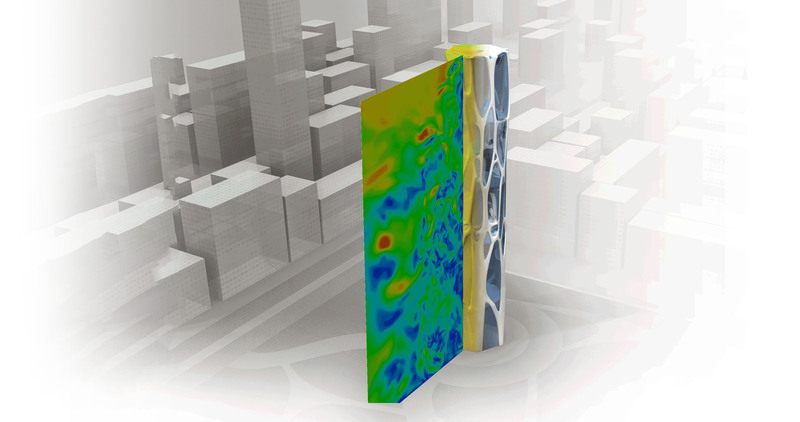 HyperWorks VWT comes with a fast and efficient unstructured volume mesher including boundary layer generation. User defined volume mesh refinement zones are used to create a locally refined volume mesh to capture important flow phenomena, e.g. the wake of a vehicle or a building. Parameters for boundary layer meshing can be defined globally or on a part basis to have maximum control of the total element count and use refined layers only in regions where it is necessary. 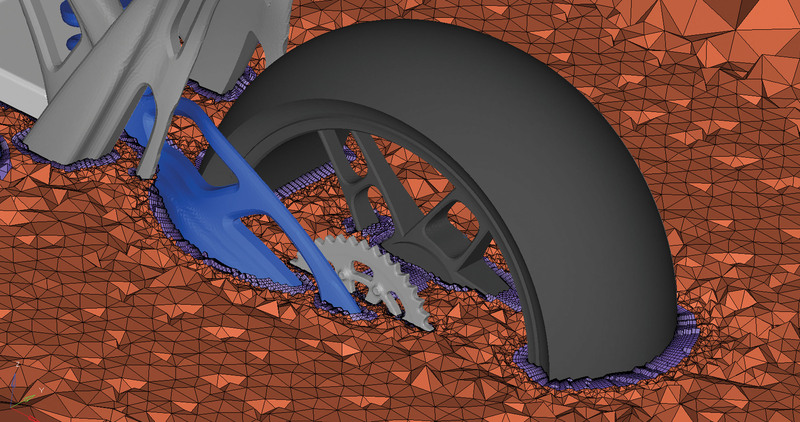 Volume meshing for an external automotive aerodynamics analysis (including underbody, underhood compartment and boundary layers) is typically done in a few hours. VWT comes with a friendly and intuitive user environment. It is an all-in-one environment where users can import the surface mesh (water tight mesh), set up the problem, submit the simulation and obtain a final report. The setup process is highly automated, with a minimum number of parameters, and without compromising the solution quality. Additional controls over the various parameters are provided in the user environment. 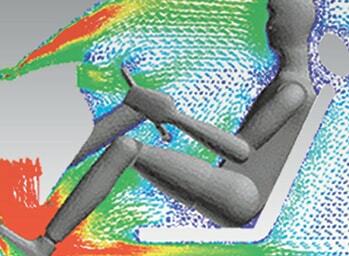 The simulation can be easily submitted to high-performance computing systems to expedite memory and compute-intensive tasks such as volume meshing, solving and post-processing. A report containing problem setup, mesh statistics and results is generated automatically after completion of the simulation. 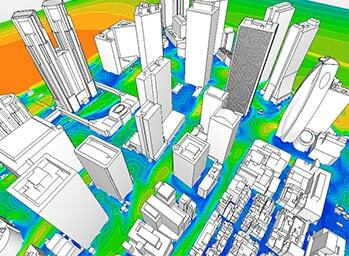 In addition, advanced CFD post-processing may be performed for the most complex and large CFD data visualization, interactively or via batch processing mode. User defined Boundary Layer (BL) parameters, globally or on part basis.